Two incidents were resolved successfully, said the director of Oberstown. 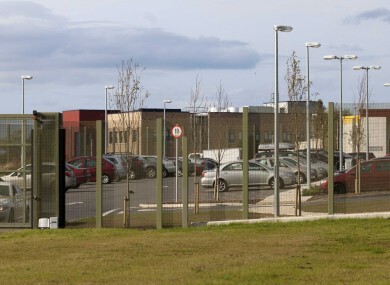 GARDAÍ HAD TO be called to Oberstown Children Detention Campus over an incident involving a number of residents on Thursday. Another incident had occurred the day previously, but gardaí were not called. A statement from the centre said that Pat Bergin, director of Oberstown, can confirm that two incidents took place this week, which caused disturbance on the campus. “Procedures were initiated to address the situations which were managed well by staff,” said the statement. Due to the perceived level of risk on one occasion, the assistance of the gardaí was requested by the director. Both incidents were resolved successfully and the director extends his appreciation to staff and the gardaí for the safe and cooperative manner in which the situations were concluded. These incidents are the subject of a garda investigation, concluded the statement. Email “Gardaí called to Oberstown over 'disturbance' involving residents”. Feedback on “Gardaí called to Oberstown over 'disturbance' involving residents”.